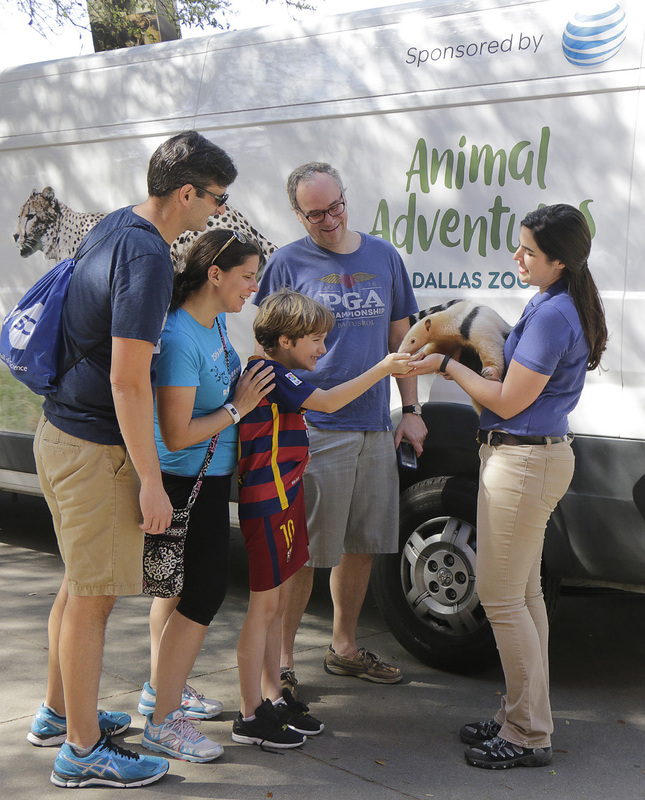 animal outreach | Dallas ZooHoo! 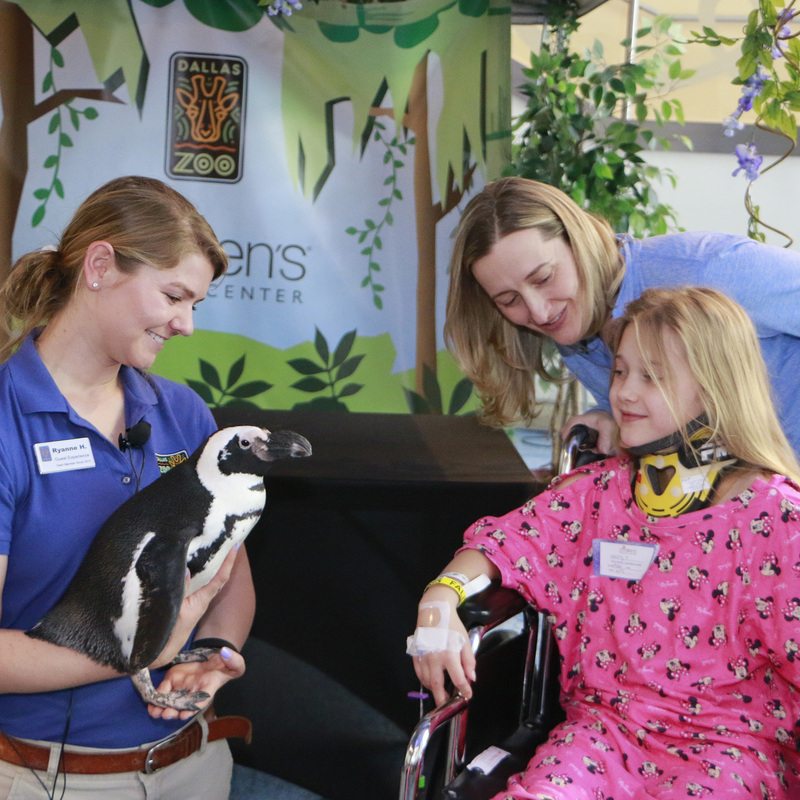 Animal Adventures outreach specialist Hayley Perryman guest blogs on ZooHoo! The Dallas Zoo has an impressive array of ambassador animals from penguins to porcupines, tortoises to tegus, cockroaches to a cheetah, and pretty much everything else in between. These animals travel all over the DFW metroplex, and they have a very important job – inspiring a passion for nature and educating the public about conservation. However, these creatures have another job, as well. It’s one that we don’t always think of, but it might be the most important job of all – that job is to inspire childlike joy and happiness in every guest they meet. Most people believe that programs like ours are only reserved for children or young adults, but my favorite types of programs are those specifically for retirement homes and the elderly. 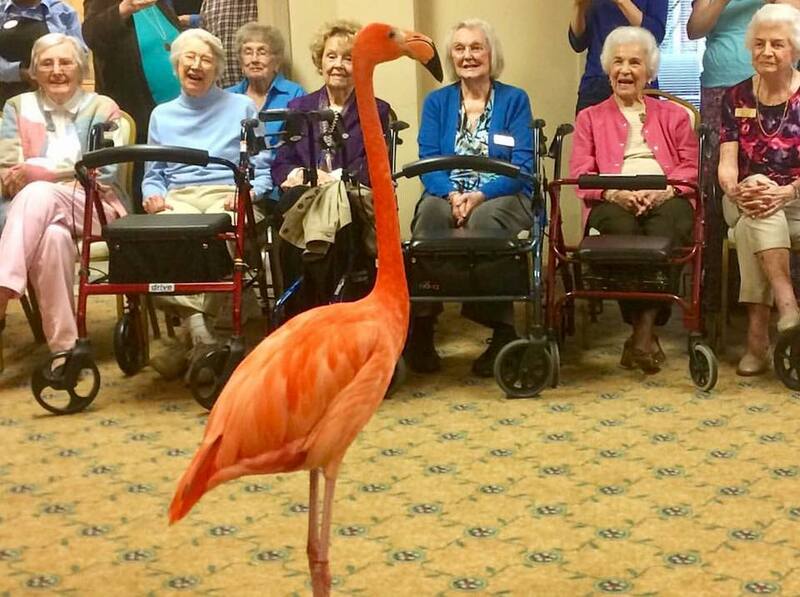 Now don’t get me wrong, I love spending my time going to pre-schools, middle schools, high schools, and all other schools to teach kids about wildlife, but there is something very special about visiting the elderly. We get our animals situated and ready to go for our 45-minute presentation and watch as older ladies come walking or wheeling in, sitting together and talking as though they were teenage girls in a high school cafeteria. We’ll giggle as we see someone arguing that this seat is saved for Susan or Tom, and how they’re hoping their kids or grandkids hurry up and get there so they don’t miss the program. Once we have everyone there, we begin. Our programming, although usually booked for children, does find itself in front of adult audiences from time to time. Oddly enough, the adult groups are often more excited than all of our youth programs put together. I think we tend to forget about the simple things in life every now and then. These are things that, as children, caused our hearts to race, our minds to dream, and our smiles to spread across our faces; things like coming face-to-face with a flamingo, watching an opossum munch happily on a piece of banana, or seeing a tortoise stand up and start to dance from side to side as they get shell scratches from someone in the audience (fun fact – radiated tortoises are known as “rain dancers” because they do this in real life due to the nerve endings found throughout their shells!). As our program comes to an end, our audience is suddenly transformed into one entirely of children, regardless of actual age. Smiles are seen on every face, laughs are heard throughout the room, and that wonderful look of happiness and joy is found in both young and old alike. That amazement and wonder is something that all of us need more of in our lives, and I find it so incredible that creatures of any kind are able to inspire that in people of all ages. We visit several different retirement communities throughout the Dallas area, ranging from hospice care to elderly happy hour at a library – and trust me, it is as awesome as it sounds. These types of programming are a testament to the fact that there is no age limit on loving wildlife and wanting to help save the animals that are so important to our ecosystems. 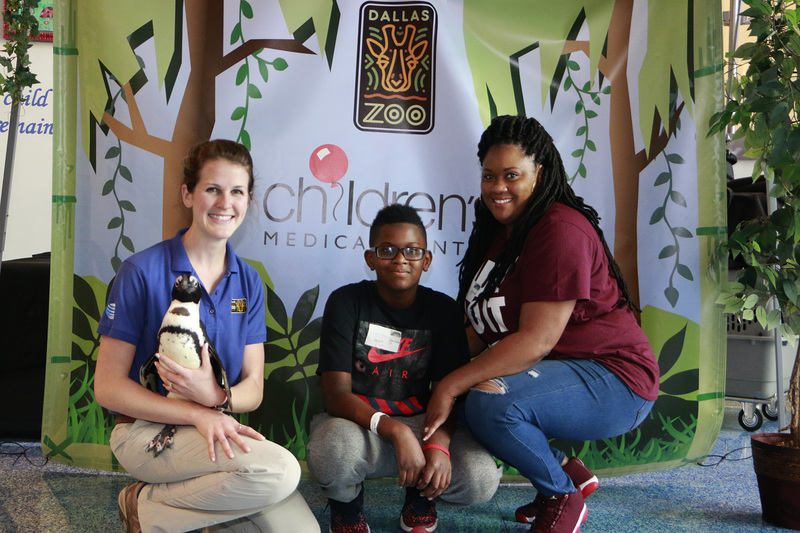 Sponsored by AT&T, this past year, the Dallas Zoo Animal Adventures outreach team completed 623 outreach programs, reaching more than 86,400 people through educational appearances. We hope to reach even more people, both young and old, in this coming year, and we will continue to strive to make 2017 a year for learning about conservation and making a difference to save the planet.